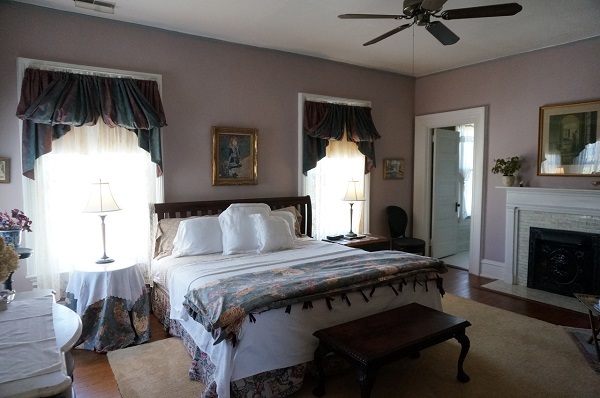 Beds of Mahogany, Cherry and Oak furnish each guest room, along with antique chests, marble top dressers, armoires, canopies and original artwork complete a delightful picture of elegance and comfort. All you need is love - A canopied bed and thoughtfully appointed room add to the romance and comfort of your stay. 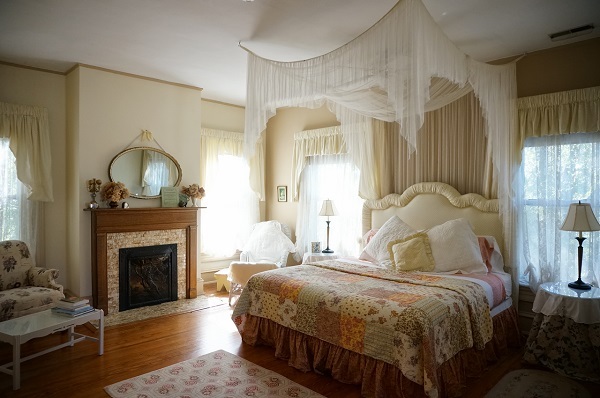 A wonderfully grand room decorated in rich butter crèmes - King Bed - private bath with claw foot soaking tub. $150. Love and Peace as a two-bedroom two-bath adjoining suite. $275. Joy is making someone happy. Come and relax in this tranquil and soothing room. Watch the sun dapple through the lace curtains, share the moment with someone special - King Bed - private bath with claw foot soaking tub. $150. Click HERE to view more guest rooms.